Day 3 of the WPT Seminole Hard Rock Poker Showdown finished at the Seminole Hard Rock Hotel & Casino with just 18 players remaining from a starting field of 1,360. Chad Eveslage (pictured) is the chip leader, holding close to 20 percent of the total chips in play. Eveslage’s 10.76 million in chips gives him more than twice that of second-place James Carroll (5.25 million). At the start of Day 3, Eveslage opened up 1.030 chips and got to work right away with a double-up versus two-time WPT Champions Club member Aaron Mermelstein. Eveslage bookended his performance by busting start of Day 3 chip leader Keith Ferrera with aces versus the ace-king of Ferrera. Timothy Banks held the chip lead prior to Eveslage but forfeited it in the largest pot of the tournament when Eveslage snatched the yellow jersey and never looked back. To put Eveslage’s stack in perspective, he has more chips than the final table chip average. Eveslage is a veteran of five WPT cashes, with his best finish coming when he placed eighth in the Season XII WPT Rolling Thunder event. In Season XV, Eveslage took 17th place in the WPT Seminole Hard Rock Poker Showdown. Before the tournament started, Eveslage was not aware the final table was taking place at HyperX Esports Arena in Las Vegas but is now 11 places away from being there on May 30. There is plenty of talent from all aspects of life in the hunt behind Eveslage. WPT Champions Club member Carroll is looking to best his seventh-place result a few weeks ago at the WPT L.A. Poker Classic. Joining Carroll among the remaining Champions Club member is two-time winner Eric Afriat, who won the Season XII WPT Seminole Hard Rock Poker Showdown versus the largest field in WPT history. 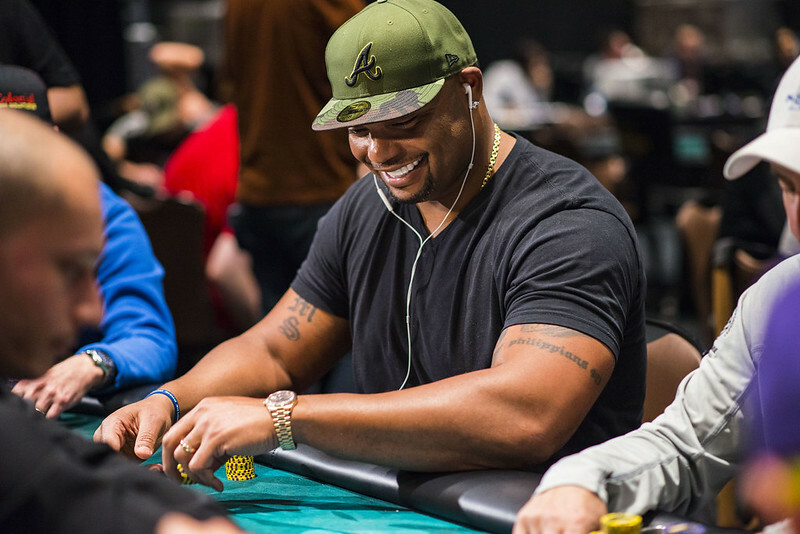 Three-time Super Bowl champion and NFL Hall of Fame finalist Richard Seymour (pictured) enters Day 4 with 660,000. Seymour is in the midst of his sixth career WPT cash and is attempting to reach his first final table. 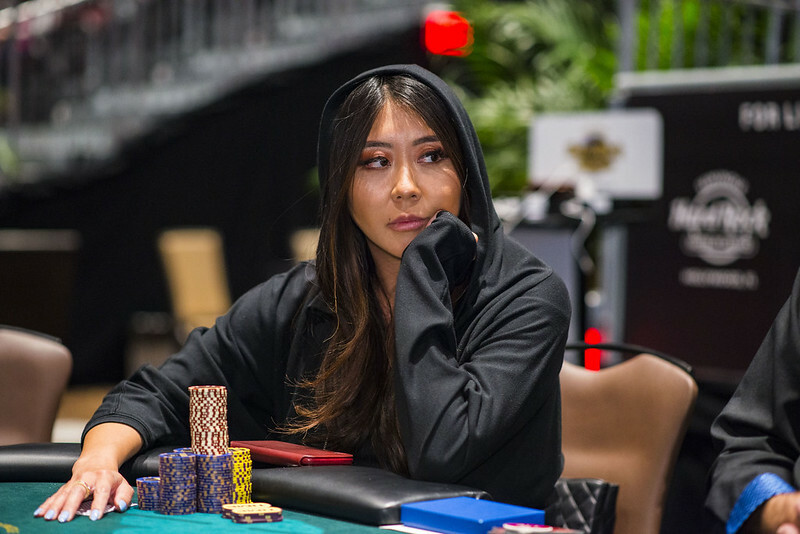 WPTDeepStacks champion Maria Ho (pictured) spun her stack up to chip lead contention midway through the day and sits in fifth place with 4.175 million heading into Day 4. Ho spoke to WPT.com’s Sean Chaffin about her recent Global Poker Award win and her drive to capture a WPT title. Danny Qutami and Jerry Robinson can both reach their second WPT final table in a month’s span. 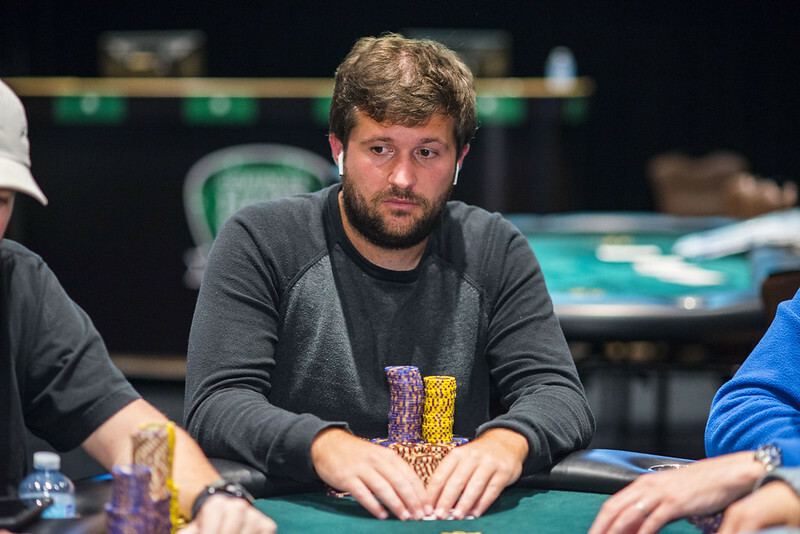 Qutami just finished second at WPT Venetian and Robinson took sixth at WPT Rolling Thunder. With a win, Qutami can jump past Erkut Yilmaz for the lead in the Hublot WPT Player of the Year race. Among the Champions Club members who fell during Day 3 are Will Failla (31st), Erik Seidel (35th), Mermelstein (53rd), Niall Farrell (55th), Justin Young (60th), Patrick Serda (61st), Seth Davies (64th), Harrison Gimbel (81st), Frank Stepuchin (86th), and Darren Elias (89th). Day 4 starts at 12 p.m. ET and plays out in 90-minute levels until the final six bag their chips for Las Vegas. Stay tuned to WPT.com for complete coverage from the WPT Seminole Hard Rock Poker Showdown.